Our friends who live in St. Louis and Oklahoma City know all too well the devastation that powerful storms can cause to their roofs. 2013 has been an especially brutal year for storms in both cities. 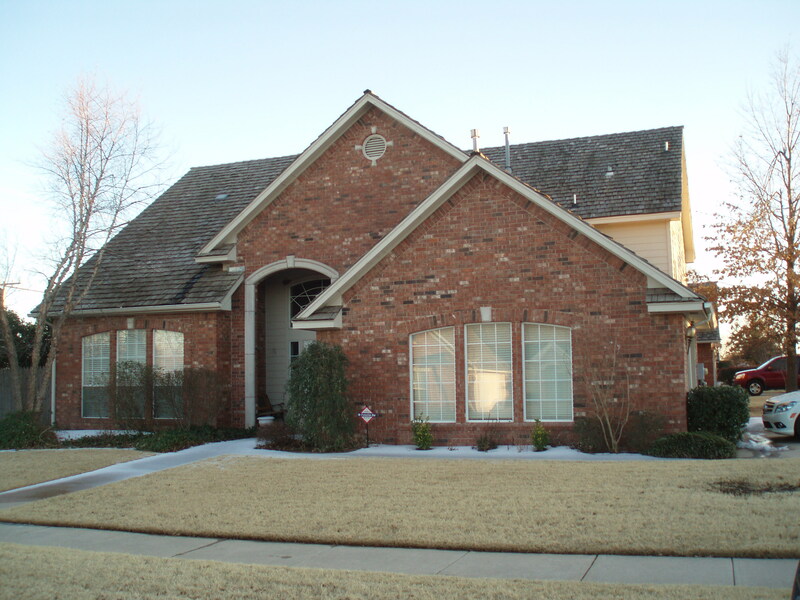 With virtually all of the homes in OKC and the St. Louis suburbs possessing shingle roofs, you should first learn about some of the common shingle roof problems and then take the steps required to minimize the problems. Metal flashing prevents water from seeping between the shingles and roof. Damaged or improperly installed flashing can create leaks and other roofing issues. Shingles also can buckle if homeowners do not adequately ventilate the shingles during installation. Since St. Louis and OKC experience scalding hot summers, buckling is a very common roof problem found in both cities. Beware of ceiling spots! Ceiling discoloration indicates roof leaks and if you neglect to take care of the spots, you can expect the small spots to grow into gaping ceiling holes. Lack of ventilation, high nails, and improperly installed fasteners cause curling shingles. Not only do curling shingles put out the Welcome mat for water seepage, they also tarnish the home appearance. Thunderstorms that contain high winds blow shingles from their foundations. The exposed roof comes in direct contact with snow, ice, and water, which leads to perhaps the greatest shingle roof problem, rotting. All of this may sound overwhelming, but residents of St. Louis and Oklahoma City can easily learn how to minimize shingle roof problems, without having to become professional contractors. Even under ideal conditions, you typically need to replace the shingles on your roof every twenty years or so. 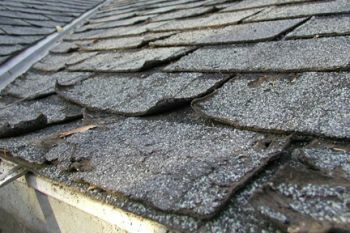 Many of the shingles fade in color or lose most of the granules that comprise the rough, moisture-repelling surface. Windy climates, such as the climates found in OKC and St. Louis, blow shingles from their foundations. Adhering to a regular maintenance schedule is the first step you should take to prevent shingle roof problems. I bet you change the car oil, replace furnace filters, and clean your lawnmower by following a manufacturer issued maintenance schedule. Well, the first step in learning how to minimize roof problems is adhering to a schedule that allows you to check the condition of your roof shingles. You want to check your roof shingles after every significant storm and before the start of each of the four seasons. Saturday afternoon rolls around and you are faced with a couple of choices. You can replace the shingles on your roof or lounge in your easy chair and catch your alma mater’s college football game. Let’s make on thing clear: no matter how devoted you are to cheering on your former school, nothing outside of child birth should prevent you from replacing loose or displaced roof shingles. Once a shingle becomes loose or displaced, the only protection left is a thin piece of tar paper that is no match for Mother Nature’s onslaught. Remember to buy an extra bundle of shingles when you buy replacement shingles. Older homes tend to have sharply sloping roofs that test the mettle of the heartiest homeowner. If you feel the onset of vertigo or simply possess poor balance, consider hiring a professional contractor to minimize your roof problems. Not only do you stay out of harm’s way, you also get the peace of mind that comes with professionally maintained shingles. To hire the right contractor, seek recommendations from family members, friends, and professional peers. You should review online customer feedback that appears on websites such as Yelp and Yahoo. What happens when you ignore a small hole that develops on one of shirts or pair of slacks? The small hole inevitably grows into a large hole that destroys the article of clothing. The same principle applies to roof problems. If you find small holes and cracks in some of the shingles on your roof, you need to take immediate action to repair the holes or replace the shingles. You cannot afford to wait until a natural disaster strikes to minimize your shingle roof problems. Repairing and replacing shingles takes a huge chunk out of the home improvement budget, even if you perform the maintenance. Be proactive and prevent shingle damage from becoming a major headache for you and your family.